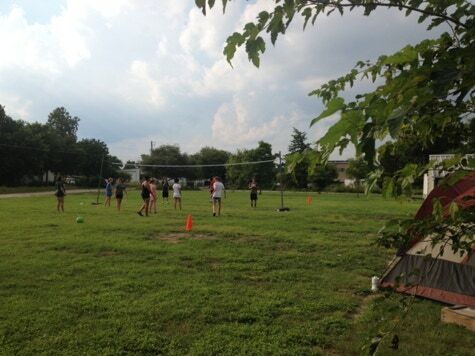 Host your next church retreat or family gathering with us! The Cowboy Chapel is a 2,160 sq. 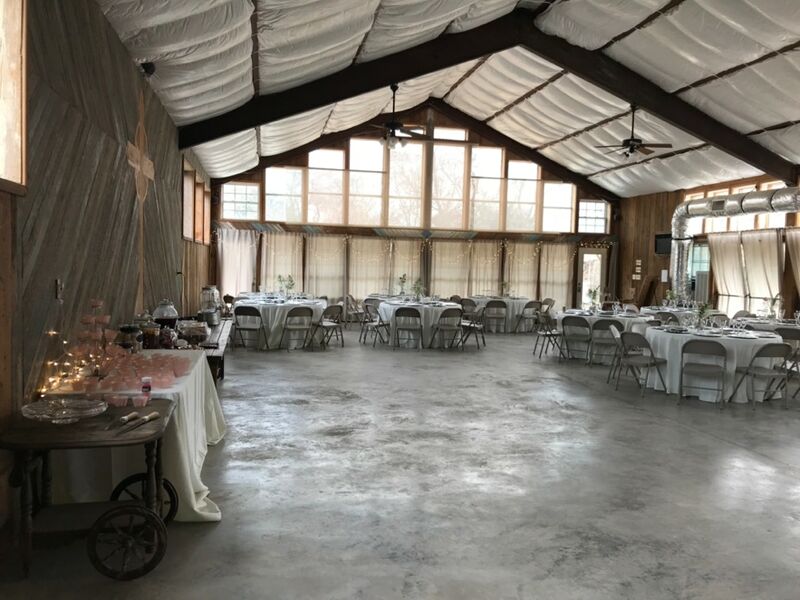 ft. facility with reclaimed wood walls and beautiful windows located on our 19-acre campground along the banks of the San Marcos River. 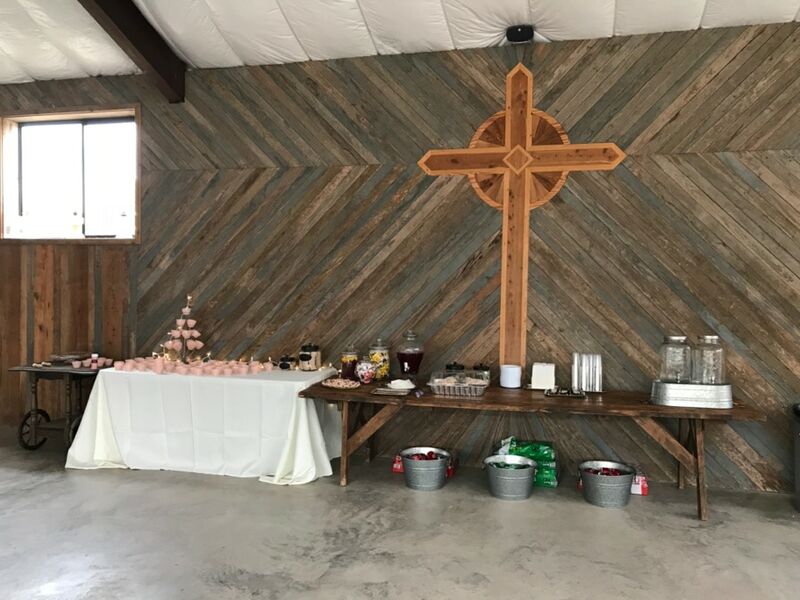 The chapel is equipped with a kitchen, gas grill, outdoor fire grill, flat screen with blu-ray player, central air conditioning and heating, a men and women’s restroom is located in a separate building approx. 150’ ft. away and a bathhouse with restrooms and showers is in the campground. 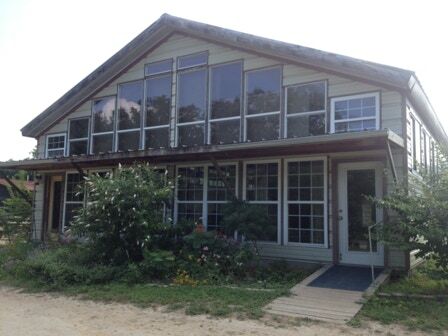 The Cowboy Chapel is available as a vacation rental. 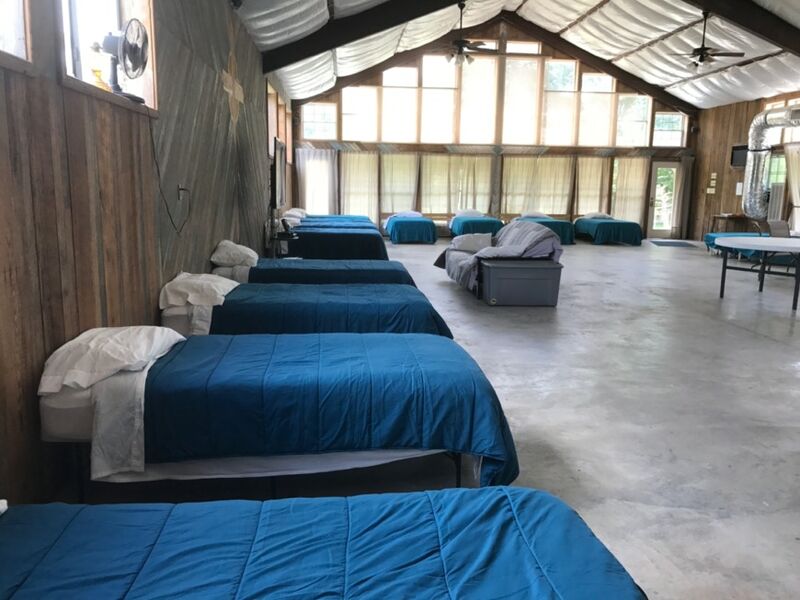 We provide bedding for up to 16 people with 12 twin beds, one full-sized futon, and two cots. Perfect for a family reunion! You can also bring bedding for additional people. There&apos;s no additional cost for up to 20 people. If you have more than 20, it&apos;s $10/person for any additional people. Rental cost is $200/night + $100 cleaning fee, 3 night minimum. The cost for a full week is $1000 plus the cleaning fee. There are also 5 full hook-up RV spots adjacent to the chapel that can be rented for an additional fee (pending availability). The Chapel is also available for small weddings, memorial services, and meetings. Indoor seating capacity is around 80 with additional seating available outside. There are 10, 60” round tables for dining and rectangular server tables as well as chairs included with the rental.